Father Claude Grou, the rector of the Saint Joseph's Oratory, was taken to the hospital and is said to be in stable condition. A 26-year-old man has been arrested after a priest in Montreal was stabbed Friday during a livestreamed morning mass in Canada's largest church. Father Claude Grou, 77, the rector of the Saint Joseph's Oratory, was taken to the hospital and is said to be in stable condition, according to the Archdiocese of Montreal. Authorities responded to a call around 8:40 a.m. and witnesses said a man went toward the priest with a sharp object during the daily mass at which 50 people were in attendance. The attack was captured on a livestream and television broadcast by the Catholic channel Salt + Light, which publishes the streams shortly after the mass. Authorities have not disclosed whether the footage will be released. When police arrived, the suspect was already detained by church security and the priest was slightly injured on his upper body, Montreal police spokesperson Caroline Chèvrefils said. The suspect was then taken into custody, transported to a detention center and will be interviewed by investigators later Friday, she said. "What a horrible and inexcusable gesture that has no place in Montreal." Mayor Valérie Plante tweeted. Montreal Police said in a tweet Friday afternoon that this was an isolated incident and the suspect, who they did not identify, is expected to appear in court on Saturday. 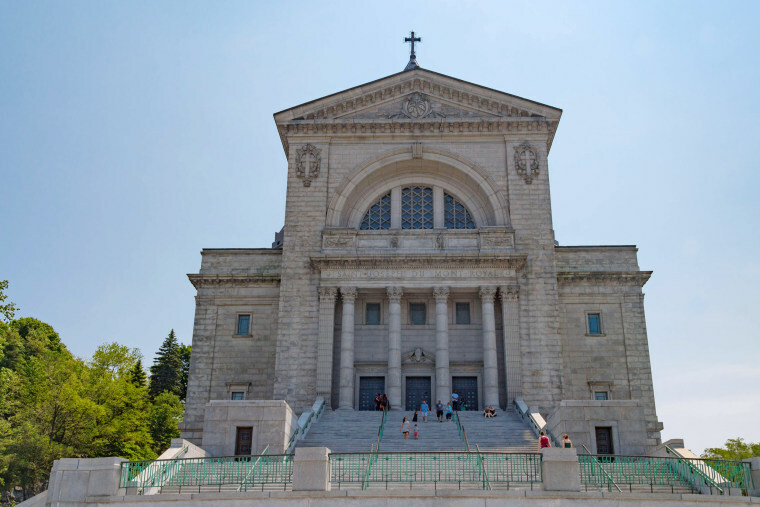 Saint Joseph's, which officially opened in 1956, is in Montreal's Mount Royal district and is Canada's biggest church. It is said to be one of the country's most popular tourist spots, with 2 million visitors per year.